Just received: C.S. 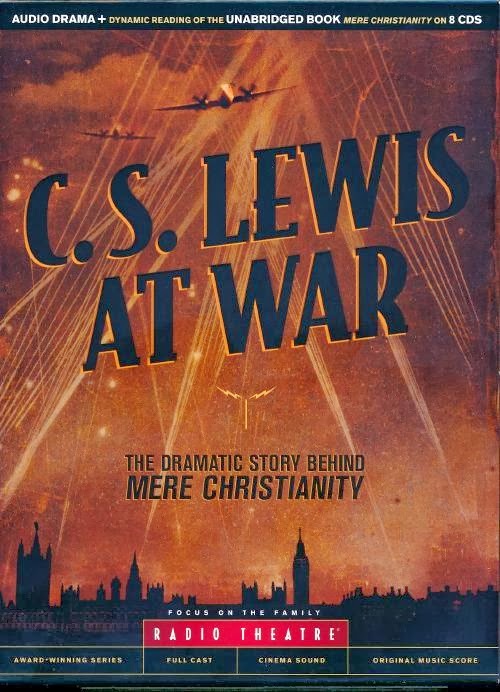 Lewis at War: The Dramatic Story Behind Mere Christianity . The set includes eight CDs. Two are of the radio program, well-produced, with an impressive cast including Jeremy Northam (Emma, The Winslow Boy) as Lewis and John Rhys-Davies (Lord of the Rings, Raiders of the Lost Ark). The drama is intended to provide context for the creation of Mere Christianity and the remaining six CDs are an audio version of that book. A non-dramatic account of the broadcasts that were the basis of Mere Christianity is Justin Phillips' C.S. Lewis In A Time Of War (2006).